Every day that I treat clients and their problems I am reminded how their inner health, stress, lifestyle and diet are affecting their skin. Without looking at the complete picture, you are effectively putting on a plaster and sometimes disguising the real problem. People expect me as a therapist to have the perfect skin. But I have problems too. Yes, I could simply give you a pot of cream. But wouldn’t you prefer to find a real answer for long-term results? Hence, I choose to help clients holistically and naturally, without artificial quick fixes. It is also why, if I see a client for any skin problems I recommend the bespoke 75 minutes ‘Wellbeing Consultation’. Depending on the reason for the facial, experience has proved that it is worthwhile to book the full consultation in place of the shorter free consultation. However, there is a place for both consultations! I speak from personal experience. People expect me as a therapist to have the perfect skin. But I have problems too. Every day I have to consider my Eczema and allergies in daily routines. Thankfully, most of the time routines are able to control my problems, as I have learnt to accept there is no cure. I also understand the time and input required to achieve clear skin. Yes, I can do a simple facial. But if I do not question appropriately prior to treatment via either of the consultations – and then subsequently use products which are not best suited to you, your health, time restrictions and your allergies you would not achieve the improvements you are looking for. Skin is much more than just a covering to keep the body and organs tucked in place. It is the biggest organ of the body, and works extremely hard. Ignoring it has knock-on effects for the rest of you too. Armed with knowledge and ideas from the consultation, you are able to make the decisions yourself as to how much you would like to immerse yourself in your quest. One thing you can be sure of is that whatever choices you make they will come from personalised bespoke recommendations. Each individual recommendation on its own will help a little. However, the more suggestions you combine and take on board the quicker and more effective the results. This is the same message for all skin problems whether dry, acne, ageing, oily, blockages, or any other issue. I am not forgetting that facials can offer more than just softer skin to clients. They can mean skin problem help, time out, relaxation, indulgence, sleep inducing. I do full holistic wellbeing facial therapies lasting 2½hrs, but shorter ½hr facials have their place too – along with choice of product brands. Modern health and beauty ranges have products to treat most problems – some more effectively than others – but every little helps – providing it is the right selection! One common belief I come across is clients with the impression they have oily skin and constantly trying to clean and strip it. The skin attempts to protect itself but becomes more and more dehydrated and sensitive. It appears shiny with pores, leading to blockages, bumps and spots. 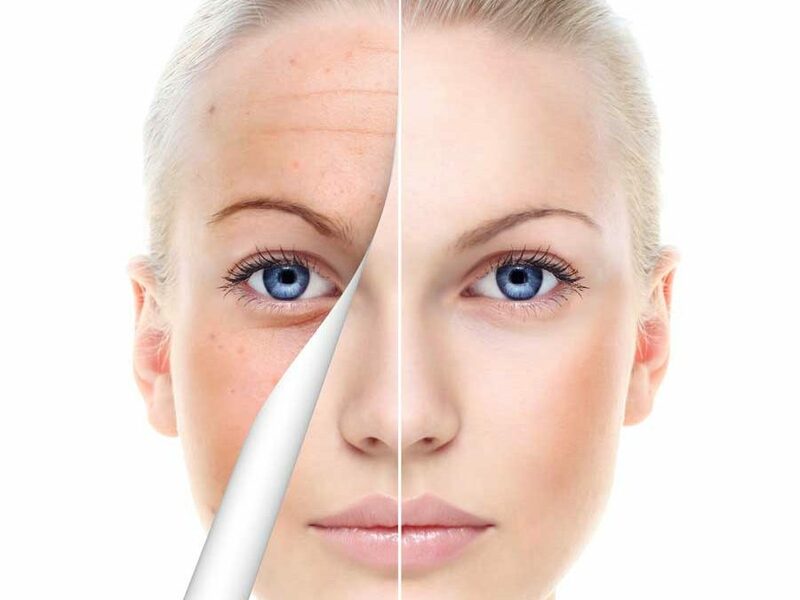 Acne, Rosacea, Stress and poor diet then impacts more – leading to further problems. At Jill Yvette’s the effects of getting older are greatly helped naturally with the aid of fantastic products from Gernetic available for different stages of ageing e.g. prevention, early onset, and maturer skins. You’re never too young, or too old, to look after your skin and / or wellbeing. You spend a lifetime wearing your skin – you can’t take it back to the shop to get a refund on it. You may as well feel comfortable and happy in it. So look after it whenever you can! Facial therapists help problems with treatments and possibly homecare recommendations. But a Holistic Skin and Wellbeing Facial Specialist like myself would teach you to combine these with diet, and lifestyle improvements, so you can help yourself. This is much more empowering, enlightening and confidence-giving.